The walk-off home run Kirk Gibson hit in Game 1 of the 1988 World Series still stands as arguably the greatest moment in Los Angeles Dodgers franchise history. At worst, it’s their top highlight in the Fall Classic. Although it was before the Dodgers reached the World Series last season for the first time in 29 years, they honored Gibson. 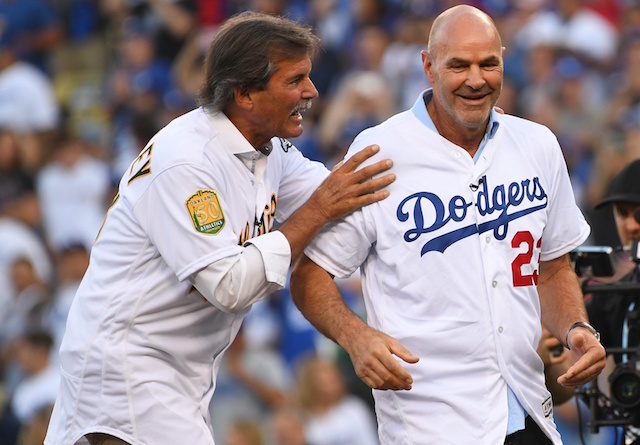 He threw out the ceremonial first pitch on Opening Day at Dodger Stadium and also had the seat in the right field pavilion where his home run landed commemorated as part of a special ticket pack. 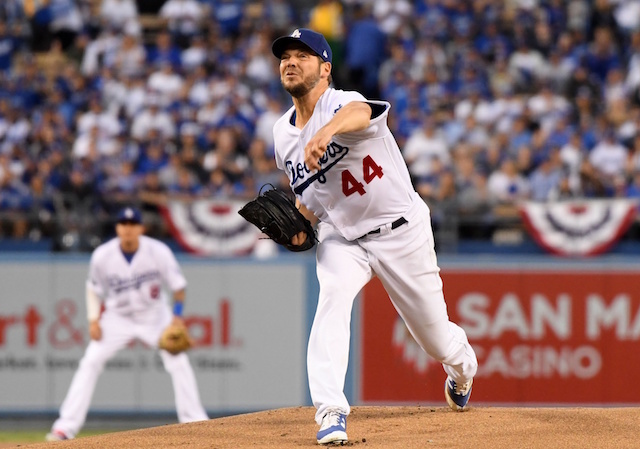 In what’s the 30-year anniversary of his dramatic home run, the Dodgers used the 2018 World Series to again recognize Gibson. He was invited to throw out the ceremonial first pitch before Game 4, and wound up receiving some assistance. Gibson walked to the mound after being introduced over the public address system, only to hand the ball over to former Oakland Athletics closer Dennis Eckersley in an ode to him being on the mound and the pitcher responsible for allowing the game-winning homer. As Eckersley took the the ball, Justin Turner presented Gibson with a bat — and glove. Turner, Gibson and now Max Muncy are the only players in Dodgers franchise history with a walk-off home run in the postseason; Turner’s came 29 years to the day as Gibson’s. But there wouldn’t be any swinging from Gibson, as he dropped the bat and put on the glove to receive the first pitch.